How To… Make Perfect Popcorn! February half term saw the grand opening of our brand new big screen, turning our Skyline Pavillion into a fantastic silent cinema that will feature all your favourite classic films for the whole family to enjoy throughout 2015 and on all family breaks! As you settle down with your headphones to enjoy some good quality motion pictures, we know it wouldn’t be the same without a big, old bowl of popcorn! So, in honour of our newest entertainment, here’s our favourite popcorn flavours and how you can make them at home. For those who like the traditional, use a saucepan over a low heat to melt a stick of butter and drizzle over your hot popcorn, adding two teaspoons of salt and mixing well. Peanut butter isn’t just for your toast! Heat up a cup of honey and ¾ cup of sugar over a medium heat, stirring until the sugar dissolves. You can then add in your peanut butter and a teaspoon of vanilla extract with salt, pouring over your hot popcorn (you can add extra peanuts for crunch if you fancy!) Spread onto baking sheets and leave to cool. If you feel like getting fruity, simply whizz up a cup full of freeze-dried strawberries and 6 tablespoons of sugar in a food processor, as soon as your mix is looking like a powder, you can drizzle 4 tablespoons of melted butter over 16 cups of hot popcorn and sprinkle in your strawberry sugar. The perfect, messy treat for your mid-film feast! Start by adding a packet of mini marshmallows, 6 tablespoons of butter, light corn syrup and ½ cup each of sugar into a large saucepan and melt over a medium heat, keep stirring and then pour over your hot popcorn! You can add a couple of cups of cornflakes for extra crunch. This delicious flavoured popcorn is super easy to make and tastes delicious! Add ¼ cup of sweetened condensed milk into a saucepan and warm over a medium heat. You can then drizzle this over your hot popcorn and mix with 4 cups of lightly crushed chocolate sandwich cookies – delicious! If you’re a chocolate monster, this is the popcorn recipe for you! Whisk together 5 tablespoons of melted butter with vanilla extract and salt, and then drizzle over your hot popcorn. Toss with a pack of mini marshmallows, chocolate chips and toasted pecans, spreading on baking sheets and baking on a low temperature until the marshmallows and chocolate are slightly melted – Yummy! You can find these recipes and more on the Food Network! What’s your favourite flavour of popcorn? Or have you tried out any of your own recipes? We would love to hear! Tweet us @butlins or comment on our Facebook page! Look forward to hearing from you. 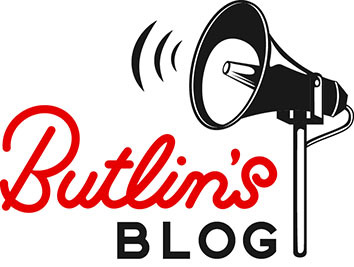 I am the assistant resort reporter at Butlin's Bognor Regis, supporting the creation of interesting content via photos, videos and social media. World Book Day: Top 10 Reads!